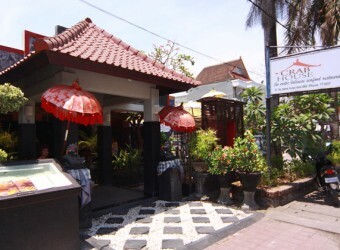 Bali Seafood Restaurant Crab House is located along By-pass of Nusa Dua. The most famous area of seafood is Jimbaran, however, Crab House is also one of the recopmmended seafood restaurant that you can eat it in Nusa Dua area. You should try a big portion of Seafood Set including squid and prown in one plate. It is good access from Nusa Dua resort area.